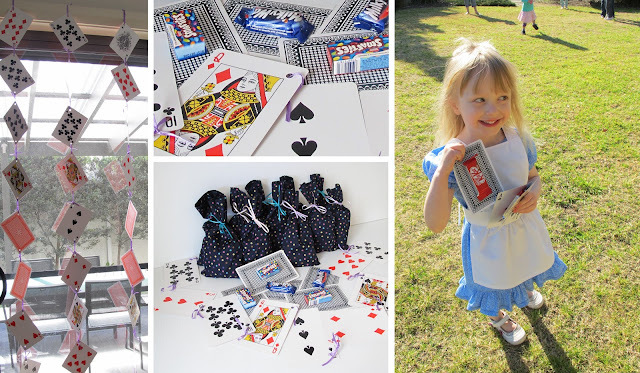 Need Birthday Party Ideas? 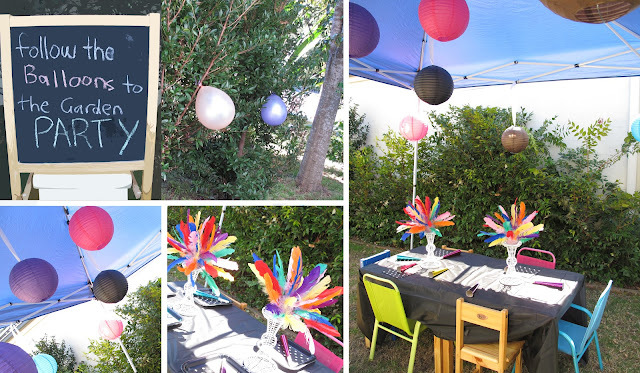 We've had some fun parties lately and I thought I would share a few photos! Maybe they will give you some ideas for any parties that you have coming up. 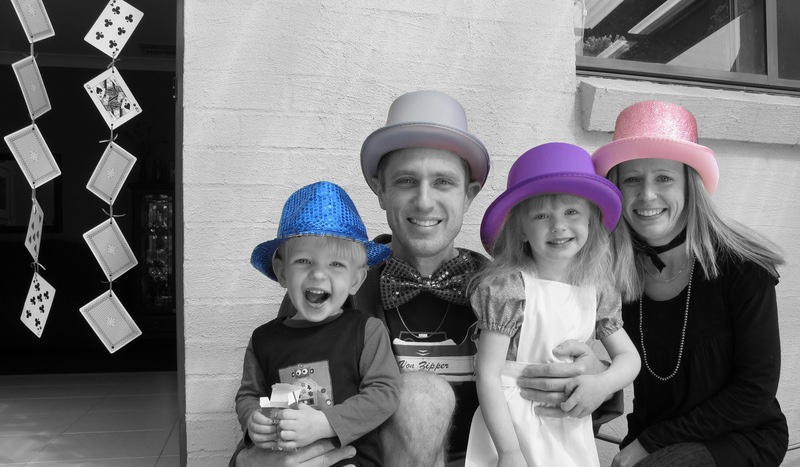 A few colourful hats purchased from the $2 shop, to add some sparkle to our Mad Hatter's Tea Party! And a Merry Unbirthday to Alice. 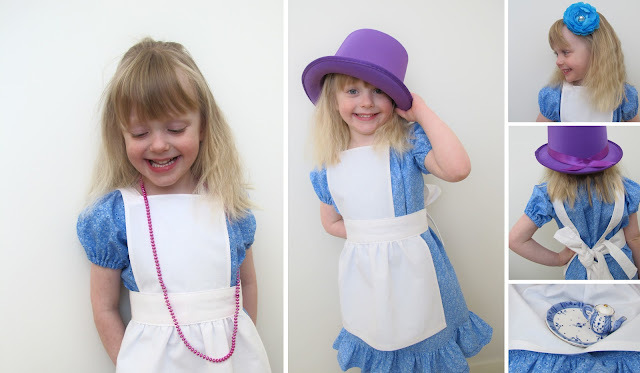 Her dress and adorable white apron was made by Threading My Way. See the tutorial to make your own dress and apron here. Don't be late and please stay, Alice has the table decorated under a gazebo of paper lanterns from eBay! A mix match of children's chairs make it a colourful arrangement. Two white wire candle holders with some feathers stuck into foam balls from the craft shop, create unique centre pieces and are fun for kids to make. 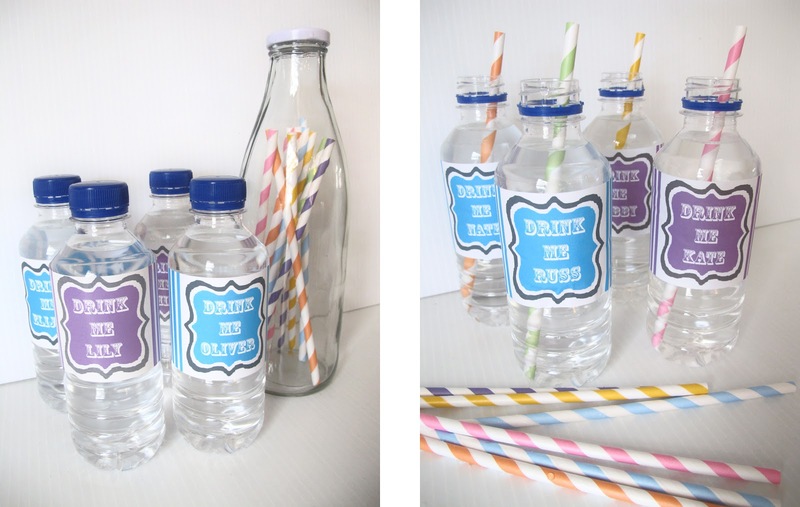 Pastol rainbow vintage straws from eBay added a touch of fun to the personalised Drink Me water bottles we revamped from the supermarket. 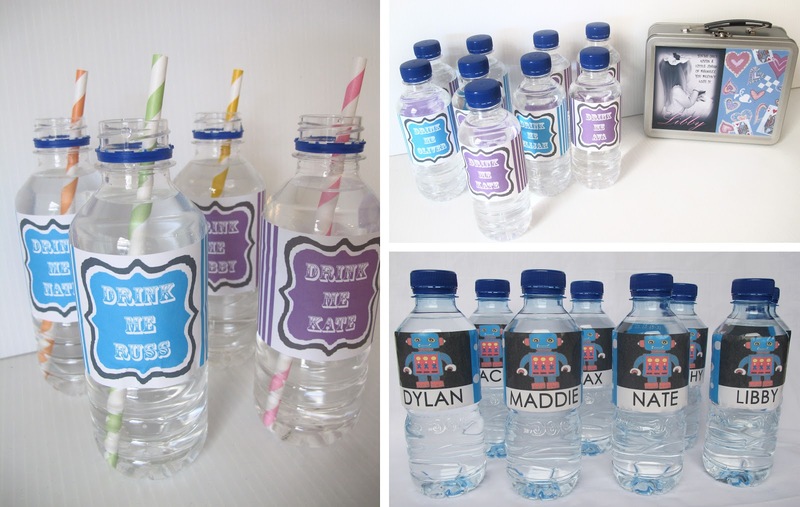 We've done robot drink bottles before, for a 1st Birthday robot party and labelled the bottles of coke as Robot Oil, so that all the little robots in attendance could refuel themselves. Game time! Alice and her friends searched the garden for the Queen's deck of cards. Stuck underneath each jumbo sized card was a chocolate treat. The cards were also used in the doorway for decoration. 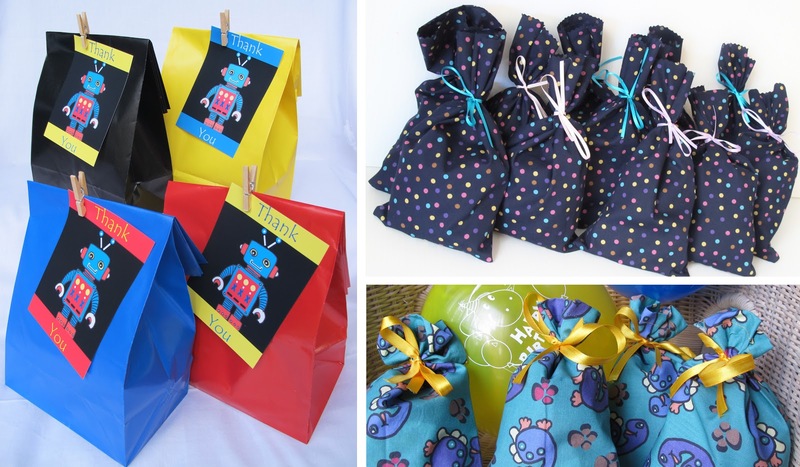 Party bags made from paper or sewed from fabric are better than plastic I say! The robot party bags have 'Thank You' tags attached to them with a mini wooden peg. The multi spotted fabric bags and the dinosaur bags, were made easily using two rectangular pieces sewn at three edges and the tops were cut off with pinking shears so they didn't fray. Each bag was tied with a ribbon. 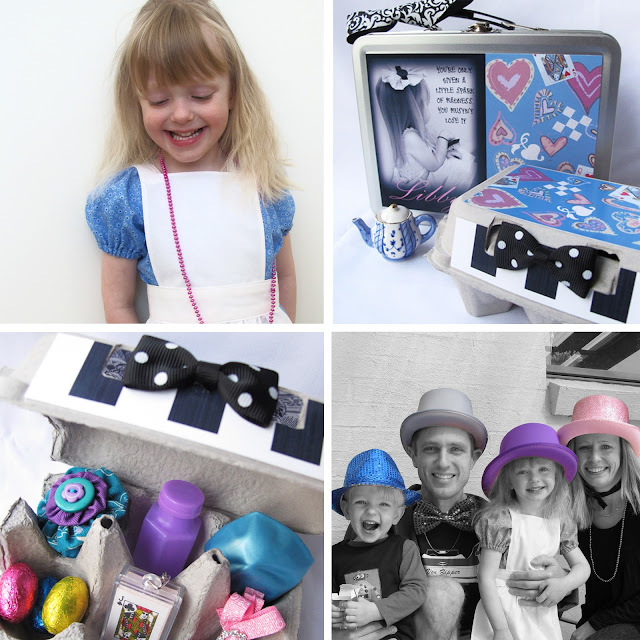 Or you could use an egg carton as a favour package and fill each of the six spaces with a special treat! Thank you for coming to our Tea Party! 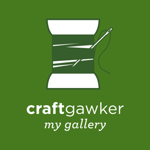 Have you had a party lately? Got any fun ideas to share? 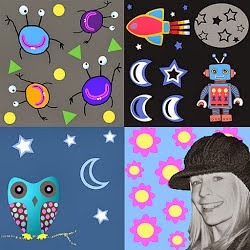 Please leave me a comment, I would love to hear from you! Fabulous party ideas there! I LOVE the idea of coke being 'robot oil'! Genius! Thanks for inviting us to your tea party! What a perfect party. You thought of every detail.